In today’s volatile business environment, leaders are expected to show foresight by identifying changes, trends, and future possibilities for their organizations and markets. The ability to translate these insights into ways to enhance existing business activities or developing new innovation strategies to stay ahead of the competition is critical to growth and profitability. Through this course, you will develop a deep understanding of the business, economic, and social trends that are impacting organizations and gain new tools to mitigate future risks and exploit opportunities. Faculty will introduce you to the power of scenario analysis, and ways to embed strategic business innovation in your organization, as well as understand how leading-edge companies gain deeper insights into customer behavior. Finally, you will learn how to develop an innovation framework to transform your business model and chart a market-leading and revenue-enhancing course for the future. This course is practical and applied. Bring a current business challenge or company topic which you would like to analyze and develop for the future, and you will walk out with proposals for immediate implementation. This can be on an individual basis; or come with colleagues and gain an additional benefit working as a team on a critical topic (see ‘Innovation Teams’ below). This program is designed for leaders who need to make strong decisions amidst uncertainty and change, especially about the future direction of their organizations. It will benefit those who seek to better understand the choices and opportunities created through strategic innovation. If you are an entrepreneur, corporate “intrapreneurs”, manager, in R&D, a small business owner, or an executive responsible for strategic planning, developing and driving business models through innovation, product development, design, or delighting customers, we encourage you to attend. Attendees are welcome to join this exciting and practical program individually or in teams. If you elect to attend as an “innovation team”, we recommend a talent blend of strategist, technologist, and communicators – to lead any future change and operate as the core of the innovation process. This team should be prepared to introduce a new culture and drive future innovation. Participants and teams attending this program will be asked to bring a business challenge from their organization. At the end of each session, time will be allocated in the program schedule to apply learnings to the business challenge. BY the end of the program, participants will have identified at least three areas for implementation in addressing the business challenge via strategic innovation. Introduction: What does it mean to say are we living in a VUCA world? ‘Managing in a VUCA world ’: lessons from innovators and business entrepreneurs. Part 1: Understanding customers – what do they really want? Trend analysis: Seeing beyond current issues to address forward thinking and contingency planning. Scenario analysis: Overcoming the limits to prediction, examining what might happen through scenario analysis. Application Step 2: How is future change going to impact your business? New business models and business strategy. Final review, discussion, and next steps! Peter Sheldrake is currently based in the USA. He is an adjunct at Wake Forest University, where he teaches innovation and commercialization. 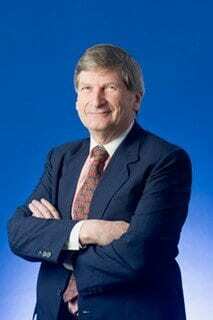 Until recently he was an Adjunct Professor at RMIT University, in Melbourne, Australia, where he had been Professor of Business Entrepreneurship for 14 years, prior to retiring in 2011. In that role he was responsible for developing research and teaching in innovation and entrepreneurship, global business, and business strategy and leadership. Peter Sheldrake had the opportunity to work in a variety of areas. He commenced his working life as an academic, first as a Teaching Fellow at the University of Cambridge, then Lecturer at the University of Edinburgh, and finally an Associate Professor at the Flinders University of South Australia. After ten years he joined the Shell Company of Australia as Senior Development Adviser, before being recruited to the Commonwealth Government’s Australian Institute of Multicultural Affairs. He worked there for 6 years, eventually as Director. He then ran his own consultancy company before being appointed CEO of the Australian Institute of Management in 1988, where he stayed for just over nine years, before returning to the academic world and joining RMIT. He developed and conducted executive education courses and undertaken consulting assignments with companies and small businesses and not-for-profits in the USA, Australia and South East Asia, as well as teaching university postgraduate courses. His areas of interest included innovation and entrepreneurship (especially intrapreneurship and corporate venturing), global business, leadership, strategy, scenario analysis, working with arts organisations and introducing senior executives to philosophy. Current consulting and development activity includes working with companies in the IT, pharmaceutical, hospitality and finance industries. Peter Sheldrake has a BA, MA and MSc, from the University of Cambridge, and a PhD from RMIT. He has written over 100 articles, and co-authored five books: Looking at Innovation, Medical Education in Australia, Design for Adversity, Accountability in Higher Education, and Inclusive leadership. He is the sole author of four books: Ronin and Revolutionaries, The Ronin Age, How Shall I Live?, and in 2014, Elephants on Roller Skates. He has recently started writing murder mysteries. He has served on boards in the private, government and not-for-profit sectors for more than thirty years. He is an Honorary Fellow of the Australian Institute of Management, and a Fellow of the Royal Society for the Arts. He is a director of Urban Forum, a Malaysian company running various programs in Malaysia, Singapore, China, Thailand, Indonesia, India and the Middle East. An Australian, Peter Sheldrake was born in the UK, and lived with his wife in Winston Salem NC. They have six adult children, all currently living in Australia. Class begins promptly at 8:00 and will wrap-up no later than 6:00. The cost of the program is $850 and includes materials, continental breakfast and lunch, and is due in full at time of registration. Wake Forest University alumni, faculty, and staff receive a 10% tuition discount. Please contact Holly Stearne, stearnsh@wfu.edu, for more details. Course materials are included in the cost of tuition. Course materials will be distributed electronically in advance of the program start date. Participants must have a laptop or tablet computer to access course materials. This is an open enrollment program. Application is not required. Course registration is complete when payment is processed. Upon registration, a representative of Wake Forest will contact you to validate the registration information and to assist in fee payment. Please click the link below to begin the registration process. This course is offered contingent upon sufficient enrollment. If a course must be cancelled, all registered participants will be notified at least five (5) calendar days before the course’s start date. All registered participants will receive a 100% tuition refund. No fees will be charged for cancelled courses. Prospective participants who withdraw at least 14 days prior to the start of a course will receive a full refund of tuition paid.